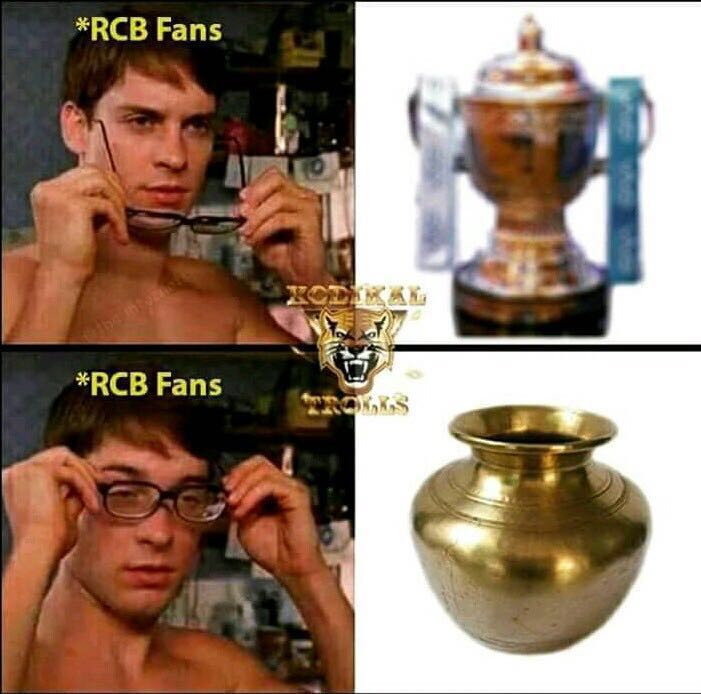 "Ee sala cup namdhe" - RCB !!! It will be absolutely epic if klr/mayank/karun shout this after winning it for kxip. Rahul has already said it in an insta video. Manish can do it too if srh wins. Or gowtham and gopal if RR wins.